The Prime Minister has some advantages when it comes to the EU Referendum campaign. 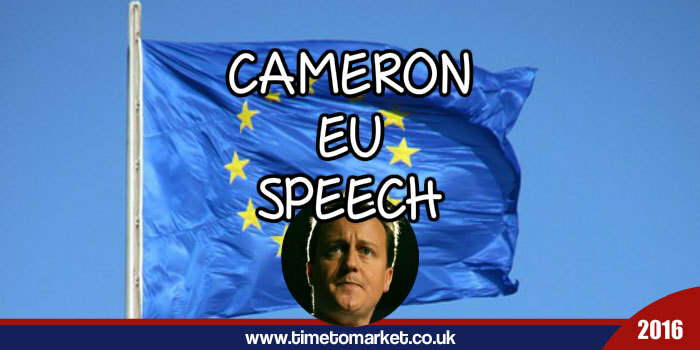 Take the location for his most recent EU speech in favour of Vote Remain. That's because the staging and atmosphere of the British Museum appeared very grand for this Cameron EU speech. Probably very expensive as well. And that also makes a difference of course. A good location. Good staging, sound and atmosphere. That's because they all make their contribution to a good speech. And this was a good one. The Prime Minister's speech had structure, planning and all the rhetorical flourishes we've come to expect from his public speaking. Let me just take 3 specific examples of what I mean.. So let me just say this about Scotland: you don’t renew your country by taking a decision that could, ultimately, lead to its disintegration. So, the technique suggests leadership combined with a vulnerability. A vulnerability that implies the Prime Minister is looking for our sanction to make a point. Clever. This was a speech that was billed as being about Britain's strength and security. So it was no surprise when the Prime Minister tackled this point in his conclusion. I am very clear. Britain is stronger and safer in the EU, as well as better off. Clever use of Europe and the EU in these sentences. It must infuriate the Leave campaign when he does so. It was certainly an exasperation detailed in Boris Johnson's speech on the same day. Some excellent use of repetition wrapped things up for the Prime Minister. This was fine hearts and minds material from the Prime Minister. Perhaps less fear, uncertainty and doubt than we've heard in the last few weeks. More upside, perhaps. However, to its detriment it's still a speech without too many real world facts, figures or observations.Because that's probably how he wants to keep this campaign. In comparison, the Boris Johnson speech, in the less salubrious environment of the Vote Leave HQ, positively brimmed with facts and figures. An intriguing development. 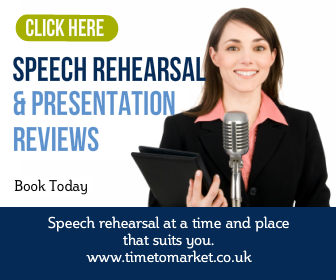 You can always pick up public speaking tips when you organise a public speaking skills course for your own team. You can hold your training day at your own offices or one of our training centres. You can discover plenty of public speaking tips with our series of tips for public speaking, podcasts and training videos. 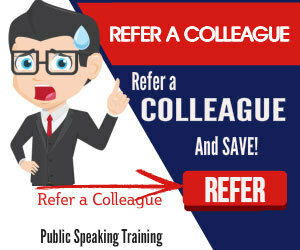 And, when you are ready to give your own public speaking skills a real boost then please don't hesitate to get in touch.